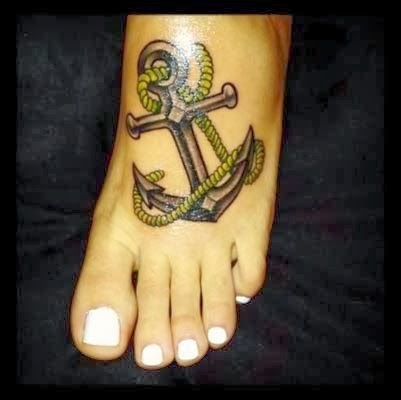 If you are looking for a theme template to tattoo that has some history and a bond with the sea then the anchor tattoos can be a great choice. Anyone can perform this type of tattoo. 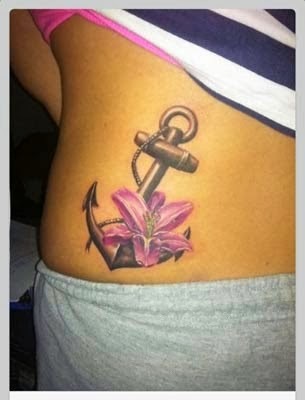 Anchors can be made large or small, if you want something more discreet or delicate and feminine. 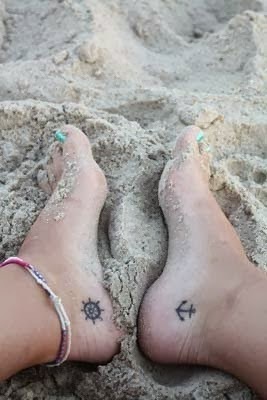 These tattoos are usually made together with other designs such as fish, sharks, stars, ships and rudders. These elements and symbols reinforce the maritime theme and give a special touch. But then what are the meanings of this drawing so sought after and popular? In this post we will figure it out and it is also clear, see many different photos of designs to have their ideas of what tattoo. The ancient Egyptian art shows the relationship between men and women with this symbol. 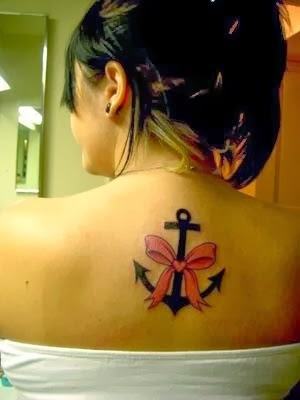 An anchor design designed with a skiff or a boat like the bottom half representing the woman (and her feminine curves). The part of the upper half of her with straight vertical mast is masculinity. Together, these two elements symbolize creation. In Renaissance art anchors were often performed together with dolphins. Symbolizing the balance between strength and agility. In this case the dolphin is the lack of speed and direction, while the anchor control means. Combined, these two symbols represent the balance between fast action and judgment. In symbolism and sometimes anchor the Mason art is replaced with the Jacob's Ladder. In this case, it is the realization and rise. We're talking about a theological rise from a worldly understanding of basic heading towards a level of knowledge and awareness. maritime significance. 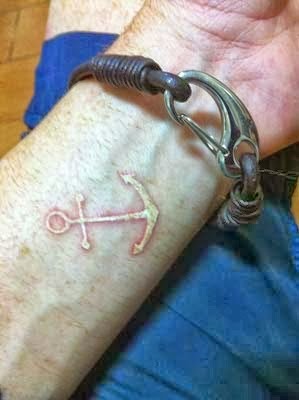 The anchor tattoo was also very common among pirates to denote a permanent connection to the sea. 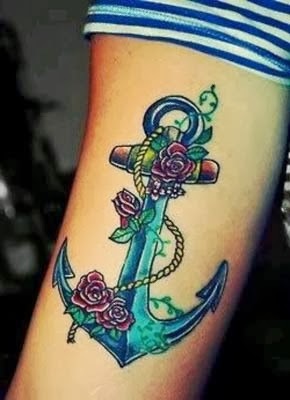 There is also the thought that anchors tattos are also a way of saying that if spent much time in prison because it symbolizes something stopped and anchored firmly in something can denote this meaning. 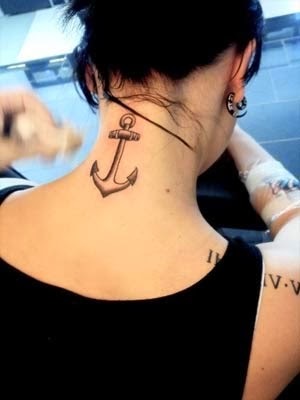 There is also the common understanding that an anchor tattoo symbolizes the profession of a sailor and his life crossing the seas. 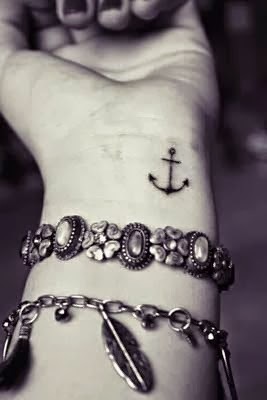 Even though this symbol has ancient origins, it was only in the early twentieth century that anchor tattoos began to gain popularity. 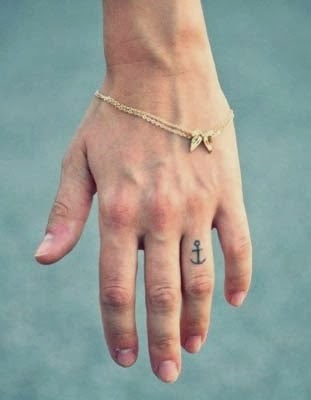 The sailors were among the first people to do this tattoo oldschool. As previously said they used it to symbolize their association to the sea. Among the sailors, it was a symbol of an experienced professional. Later the Navy and the Marines began to adopt this design tattooed on the body. They usually put this product together with the ship in which they worked. 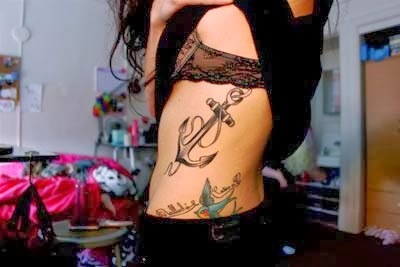 The anchor tattoos can also pass the idea of ​​ties with Christian symbolism, having a religious connotation. They have a bar across its end so. In ancient times when believe in the Christian faith was something dangerous and risky, for this reason it was used as an alternative symbol to represent the cross more discreetly. piracy As we said before the pirates also had the custom of tattooing this kind of theme. 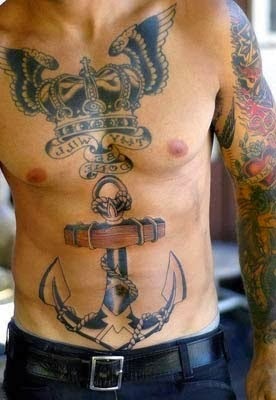 Although the skull and crossbones were commonly used as a symbol of pirates, anchor tattoo is also associated with them.